I love a good party, don't you? Egglands Best asked me to hold a brinner (breakfast for dinner) party in honor of National Breast Cancer Awareness Month. What a privilege to be involved in something so important and special. I immediately started thinking of ideas for what to make. I LOVE breakfast and could eat it all day. In fact, I'm pretty sure that I have. Green Chile Cheddar Eggs. I've made them a lot and everyone loves them! I have to admit, this was the first time using Egglands Best Eggs. We really could tell a difference and we absolutely loved them. I loved the way they cooked and of course how awesome they tasted. October marks the 26th anniversary of National Breast Cancer Awareness month. Being overweight is linked to breast cancer risk. Therefore, it is important to maintain a healthy diet and curb calories by eating foods that give you the biggest nutritional bang for their caloric buck. Incorporating foods that boost nutritional value of your diet include fruits, vegetables, whole grains and lean proteins like seafood, chicken and eggs. For only 70 calories, Eggland’s Best eggs provide twice the vitamin D and omega-3 of regular eggs, and 10 times the vitamin E, all with less saturated fat and cholesterol than regular eggs. Deviled eggs are always a hit parties! I don't always make them super pretty like this but I've found that guests don't care. **Susan G. Komen for the Cure, has invested nearly $2 billion dince inception in 1982 for breast cancer research, education, advocacy, healthy services and social support programs in the U.S.
** Eggland's Best will be pledging a donation of $50,000 to Susan G. Komen for the Cure for the second year in a row. **Over the next month or so, Eggland's best eggs will turn their famous red "EB" stamp on every egg pink, along with a Komen for the Cure ribbon. 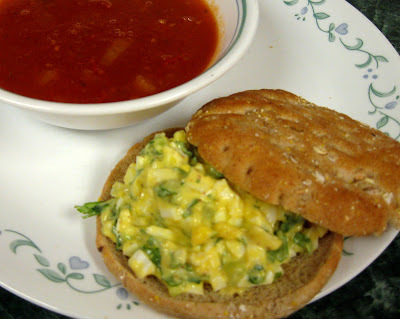 Egg salad on a slider bun is fun and cute. I love anything mini! Giveaway: CLOSED Egglands Best was kind enough to provide me with an apron, whisk, a plush toy (the kids love this), an egg timer, spatula, ramekins and a gift card. 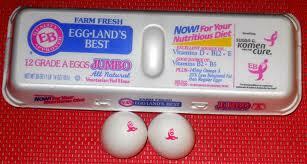 Plus many coupons for free Egglands Best eggs for me and my guests. They are going to give one of my readers a prize package as well for you to enjoy. 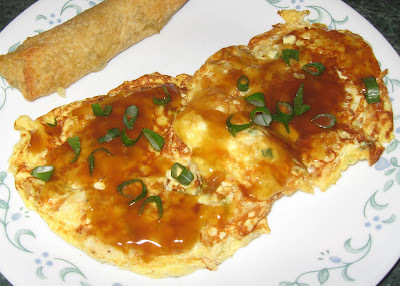 Just leave a comment telling me what is your favorite egg dish. Extra entry: Subscribe by email and let me know in a second comment. I'll pick a winner on Friday the 28th.